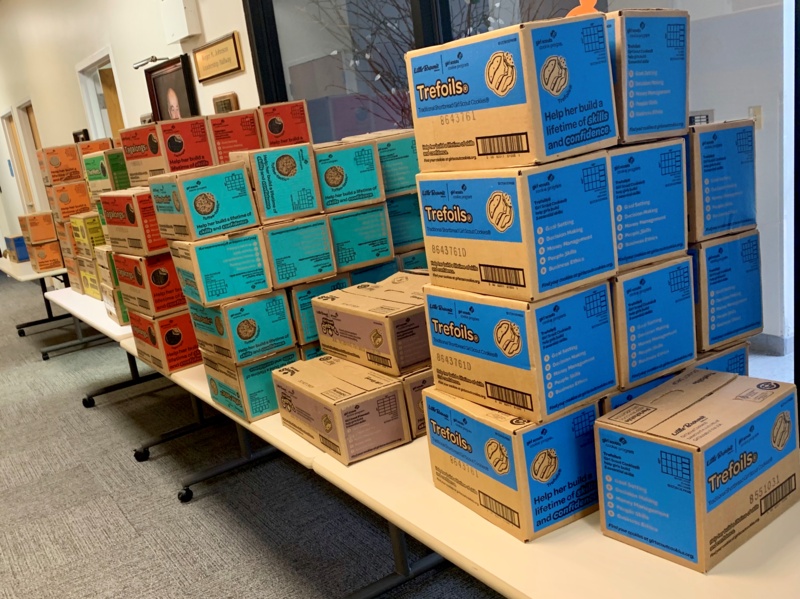 The cookies will go to our children, families, and program partners. 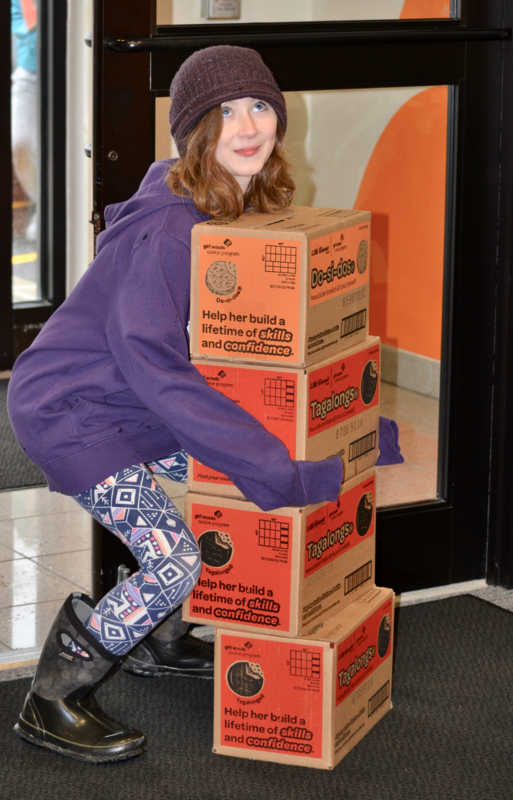 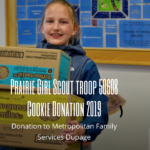 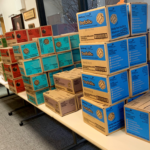 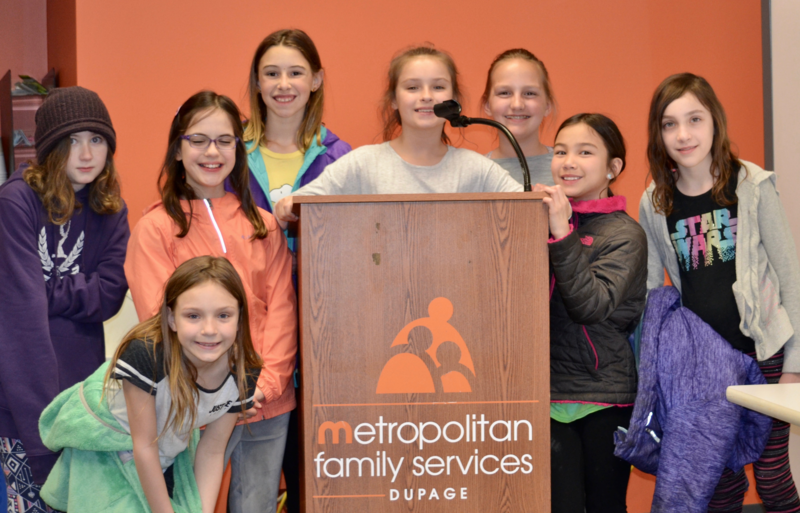 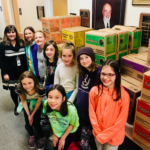 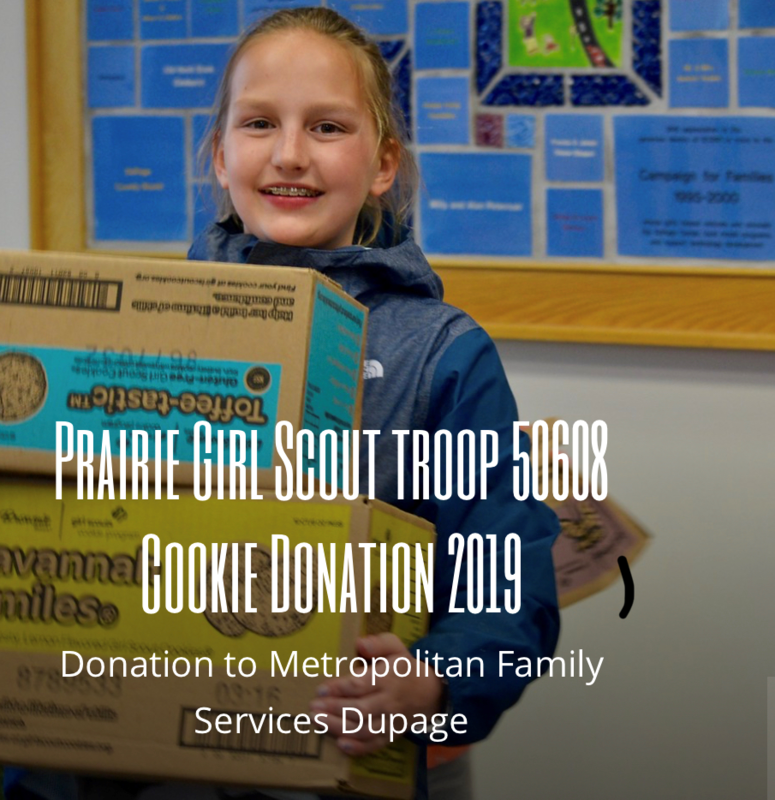 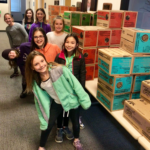 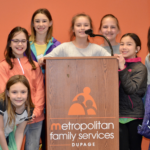 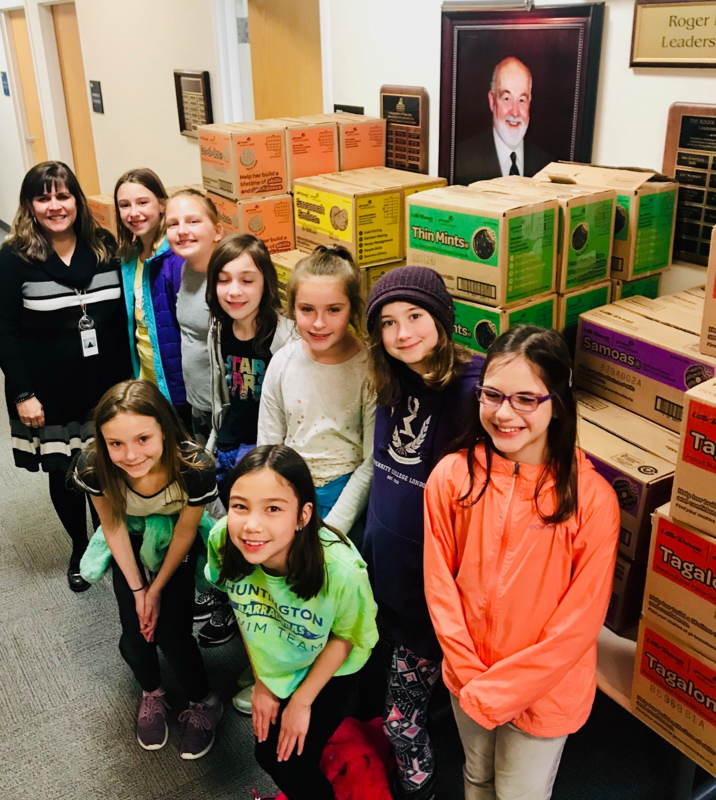 After the Girl Scouts unloaded the boxes of cookies, Rita Lopez Brosnan, Executive Director of Metropolitan DuPage, thanked them for being a part of our work in empowering families across DuPage County and beyond to learn, earn, heal and thrive. 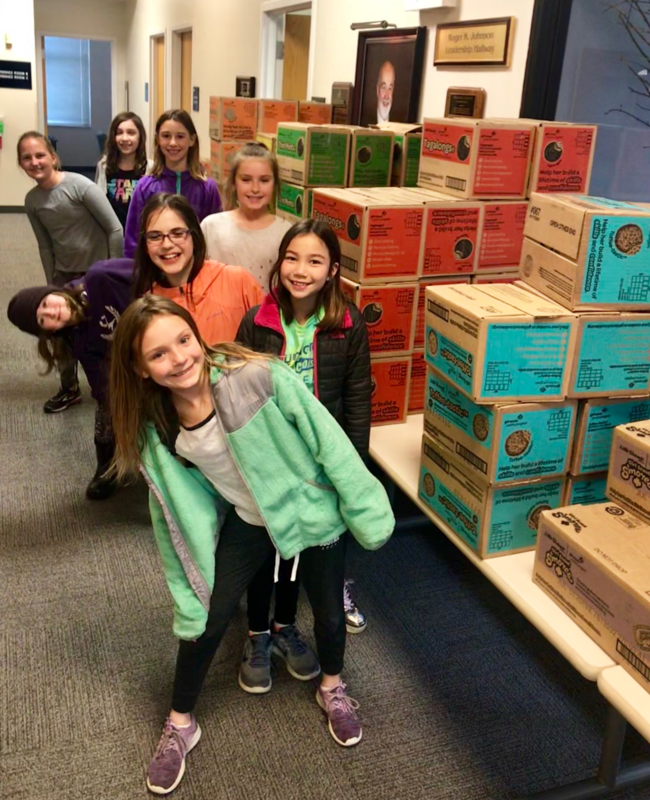 Thank you to the Girl Scouts Lisle district, Troop Leaders Kat Stark and Suzy Sharp, and their Girl Scouts!